I am away at college, several hours from home, so I don’t see my family as often as my parents would like. This is my senior year and my friends are all planning a ski trip for the winter break, the second week in January. I would like to go, but it would mean not visiting my family since I cannot afford both airfare home and to the Vermont resort that they have booked. Can you see where this is going? For the past three years I have paid my own airfare to and from college as the compromise I made with my parents when they gave me their blessing and support to attend school so far from home. This is the final year I will have with my friends and I would like to spend the semester break with them. I will be paying the rent on my apartment over the break, so I might as well stay here and continue to work my part-time job instead of spending six weeks at home alone, bored, and scrounging for temp work for five of them. My parents see things differently. Every Christmas my extended family gets together for a big celebration and I am expected to be there, which is why I went last year only to find that half of my cousins were not there – they were off with their boyfriends or girlfriends families! I am tired of coming home to see people I only see once a year, but have done it out of respect for my parents. Now that my generation is starting to drift off and do their own thing for the holidays, I think I should be allowed to do the same. My parents disagree and are arguing that after I graduate I may never come home again and they want to have “one last Christmas’ with me. I would buy this argument if they didn’t give my older sister the same argument ten years ago, only to see her move home after college and find a job only a few miles away. How can I get my parents to see the logic in letting me spend this one last holiday with my friends, since they will most likely have moved on by this time next year? If it hadn’t been for your school email address I would have thought you were pranking me with a Very Brady Christmas story! 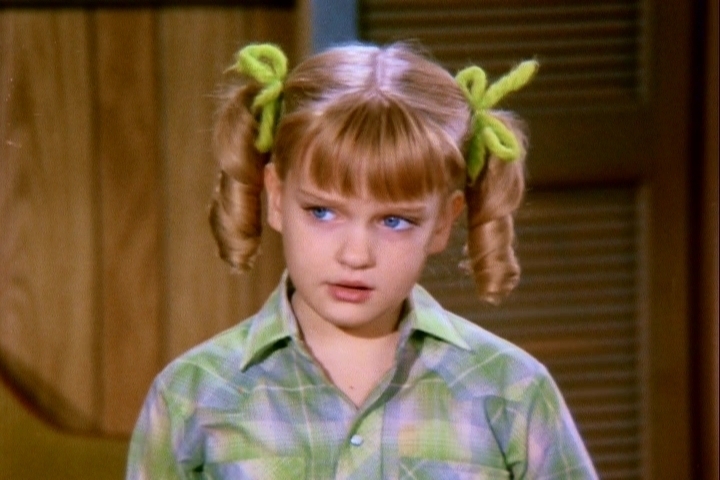 You have to admit the resemblance of your story to Cindy Brady’s is very c lose! However, I am not going to advise you to pull a Cindy and pull out on your friends because Mom and Dad have called you home; I am going to suggest you put your big girl pants on and face the situation head-on. Explain to your parents that last Christmas your cousins all went their own way, and that the Christmas they expected was not the Christmas that occurred. Explain to them that you and your friends will most likely not be staying in the Midwest after graduation and that this may be the only big trip you will get to take with them. Tell them that you have an apartment, a job, and responsibilities were you are now and that six weeks back home between semesters is five weeks too much, since everyone but you is at work during the day. Then, tell your parents that you cannot afford both airfare home and airfare to Vermont and that you will be going to Vermont! If they want to see you for Christmas, they will have to pay your airfare home. This is their half of the compromise. Your half will be to sacrifice a few weeks pay and/or vacation time to go home and spend the week between Christmas and New Year’s with your family. If your parents threaten to pull their financial support out from under you, you will have to decide which is more important to you – graduating student-loan free or making college memories on a ski trip. It is hard to put a price on either one, but like your signature says you are “growing up”; part of doing that is learning to make the hard decisions life throws at you. By means of phone opportunities people see real relationships, tracking apps help realize who real friend is. Click parental control android mobile for Android for more information!